You asked and I listened. 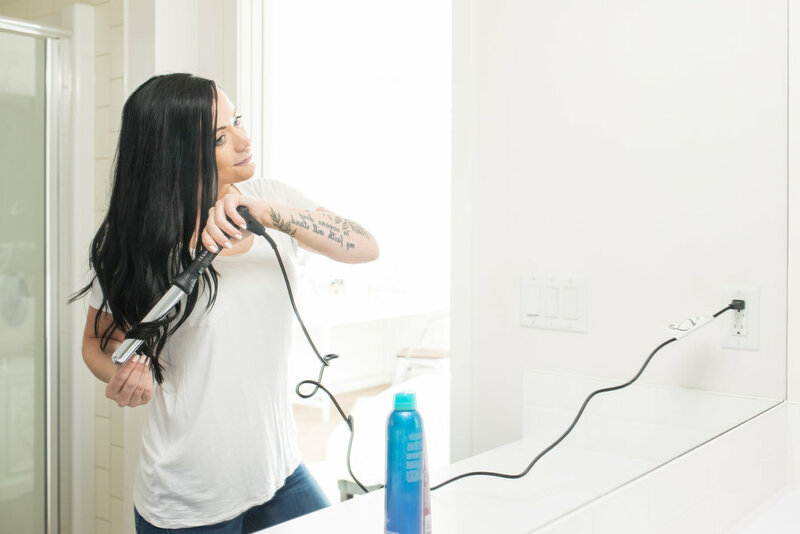 For some reason, I've received a ton of questions wondering how I do my hair and how I keep it healthy and long! I have no magical answer, but I can tell you if you want long hair, get pregnant. If that isn't an option, then just keep on reading! Yes, my hair was hella long and all thanks go to Maddox. I then chopped it to just below my shoulders. Good grief. This may gross you out, this may be normal to you. But I only wash my hair every 3-4 days or so. Sadly I have not found one amazing shampoo and conditioner but I typically use a thickening shampoo and a hydrating conditioner. I usually shower in the evening as it is a relaxing thing for me to do before bed and let my hair air dry before going to sleep! I usually toss it around a bit so it doesn't dry in one place and keeps its life and volume without putting heat on it! My new GO TO PRODUCT, like cannot shower without, is the Bumble and Bumble Repair Blow Dry. It somehow magically detangles my hair and lets me brush through it seamlessly! This is not sponsored - it is just THAT GOOD! ! As for styling my hair, previously I used a ceramic curling wand and would spend about an hour curling my hair for it to just fall out. I tried numerous wands and nothing worked. Until I switched to the magical Sephora titanium wand - good gosh you guys... my entire world changed. And that sounds like an exaggeration, but it's not. I sleep on my freshly washed hair and the next morning I spend a maximum of 10 minutes putting big curls in, spray with Bumble and Bumble Does it All hairspray (again, not sponsored I just love this brand) and my curls stay until I wash my hair again! I find if I leave my hair straight I have to wash it sooner... not sure why that is, so I typically curl it. And that's it! I colour my roots every 4-6 weeks (my natural colour is a mousy ashy nasty brownish gross colour) and that about completes my hair routine! Its nothing crazy, it requires next to no time and it keeps my hair happy and healthy! I hope this was helpful and inspiring - if you have a ceramic wand that just ain't working for you, go to Sephora and pick up that titanium wand... you can thank me later. Happy curling!